It's that scary, spooky time of the year again and this Halloween, I thought I'd do something a little bit... wicked. I've been a huge big fan of "Wicked" ever since the book by Gregory Maguire came out, and I love, love, love everything about the musical too! I was actually lucky enough to see one of the run throughs of the Finnish production of Wicked last summer, and it was absolutely and perfectly wonderful! Even though it was "off-format" from the original, it lost none of the magic in the translation and I fell in love with all things Wicked all the more for it. 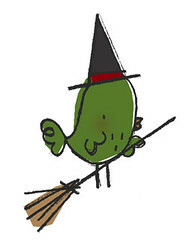 So, when I was thinking what to do for a Halloween Rag Pet, Elphaba, The Wicked Witch of the West, came first to mind. Elphaba the Wicked Witch of the West rag-cat is made out of hand dyed, emerald green linen and she has keen little safety eyes, an embroidered nose and a swirly green button as a belly button. 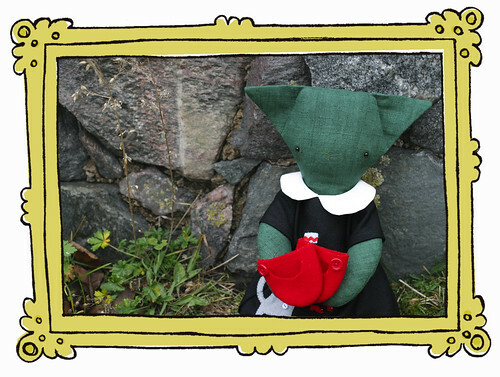 Elphie is wearing a black wool dress with an asymmterical crisp white cotton Peter Pan collar, big pockets and with a flying monkey, by the name of Chistery, carrying a pair of ruby slippers appliqued on it in felt. Chistery has beads for eyes and a little button for a belly button, and the ruby slippers have shiny red beads for decoration. Elphie is also wearing red and white striped ankle socks and ruby red felt shoes. I really like the sentiment that nothing is impossible if you just try, you can even defy gravity if you put your mind to it! 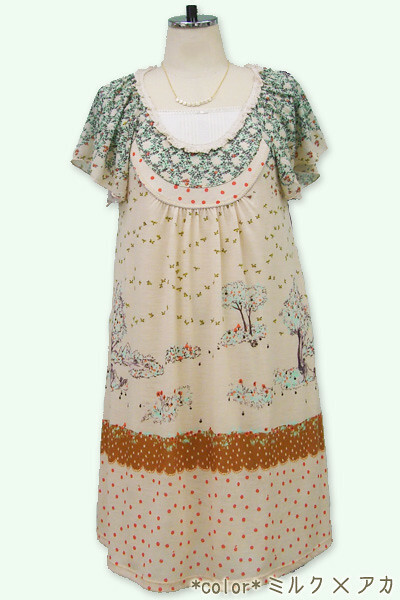 Inspired by Holly's (of Two Cheese Please) recent post about the treasure trove that is ModCloth and by the big pile of old Japanese fashion magazines I just got from a friend, I thought I'd post about clothes too. As a costumier by training, clothes and fashion have always been close to my heart. When I was a kid I would change clothes three times a day, and not because I had gotten them dirty, but because simply I could. I also loved dress-up games and I made extensive wardrobes for my dolls and plushies and I'd spend hours just dressing them all up. Now a big part of the Rag Pets is their outfits; like with creating costumes, the clothes the Rag Pets wear help give them a personality, a story. I don't really follow fashion nor do I care for the latest trends, and I never have, but I still think what you wear tells a whole lot about you. What's most important though, is that you feel like yourself in what you wear and that your clothes tell the story you want to tell. 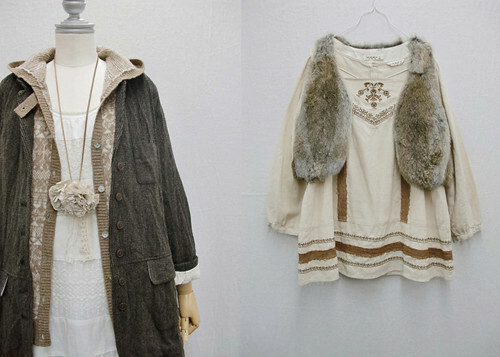 My personal style could be best described as "mori-girl", Forest Girl. 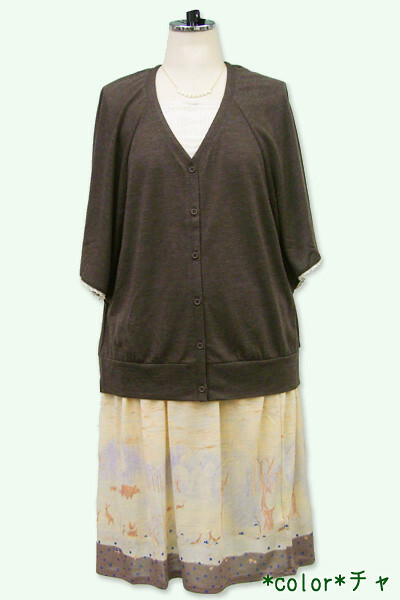 Mori-girl is a style that got it's start in Japan some years back, and emphasises natural materials and colours, comfort and a fairytale feel. There's also a strong Slavic and Scandinavian feel to the look. The mori-girl style basically embodies all the things I most like and enjoy when it comes to all things sartorial. If I were very rich (and had easy access to Japanese shops), I'd buy all my clothes from brands like Franche Lippee and SM2. These pretties are by Franche Lippee. And these lovely things are by SM2. 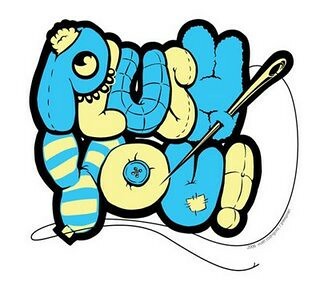 The Plush You! 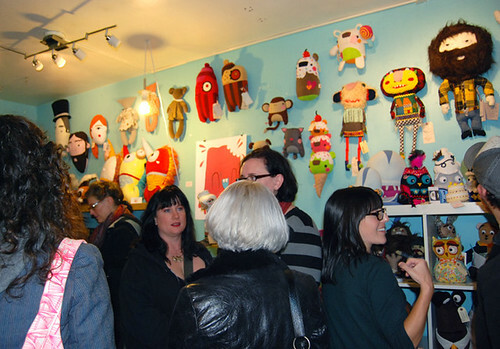 Seattle show got off to a super start last week: the gallery was stuffed to the brim with plush and plush-lovers! It's been wonderful to see lots and lots of photos from the show, and of course, of my Forest Friends too. I know it's not even half as brilliant as being able to see the show in person, but it's still really nice to get to experience the show through photos. 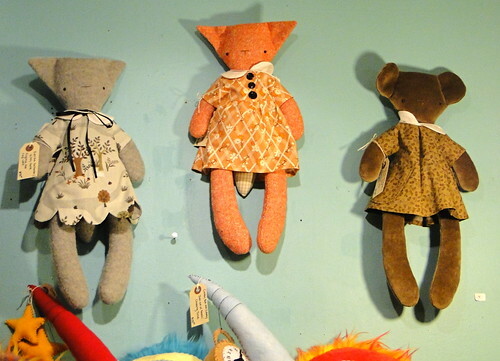 If you're interested in buying a Forest Friend, or any of the plush on show at Plush You!, you can contact Kirsten over at Schmancy by e-mail, phone or by messenger pigeon* about getting your hands on the plushies that catch your fancy. *I'm not sure if Schmancy is really equipped to receive messenger pigeons, so best not actually try that one. Dear Seattleites (is that a real word or did I just make that up? ), I need your help! 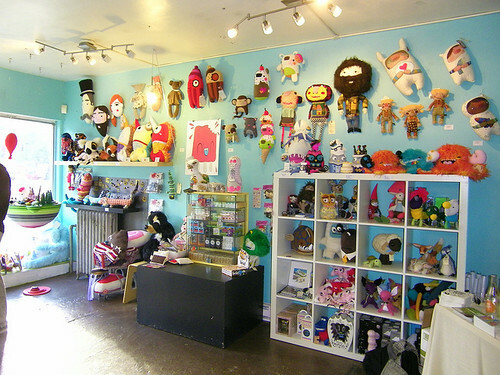 The Plush You! Seattle show opens tomorrow evening, the 8th of October, with a fabulous opening party at Schmancy (1938 2nd Avenue) from 5pm to 9pm. The show will run for a month, ending on the 11th of November. 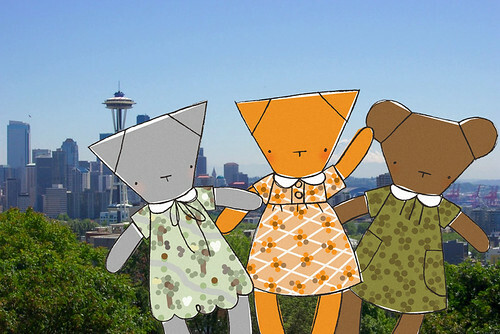 The Forest Friends will be on show there, along with amazing plushies from over 100 artists from around the world. Unfortunately, I won't be there due to being stuck on the other side of this honking big ocean, so I'm hoping that if any of you who read my blog are able to attend, could you go take lots and lots of photos for me, pretty please? 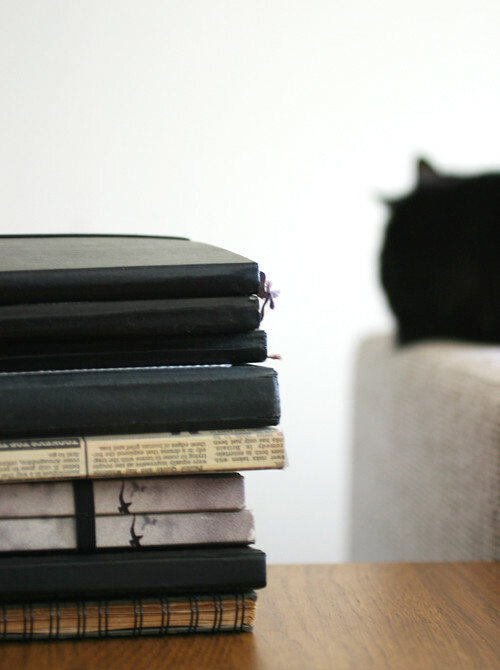 I've mentioned "blogging without obligation" before, and I still stand by that philosophy very much. But still... I do feel a little bad about neglecting my blog, mostly because I find that I do more when I blog more. So, with a new month hopefully bringing with it new vigor, I'm challenging myself to post at least one blog-post per week this month, in the hopes that I'll get more done this month too! I had the pleasure of meeting Nina in person last week, when she was on holiday here in Helsinki. We enjoyed the unexpectedly gorgeous autumn weather, saw some sights, shopped a bit and talked a whole lot about everything under the sun, although mostly about all sorts of crafty stuff. It was brilliant to meet someone who you've only known online before and instantly have a connection with them, and to share the joy of making things with a fellow crafter. 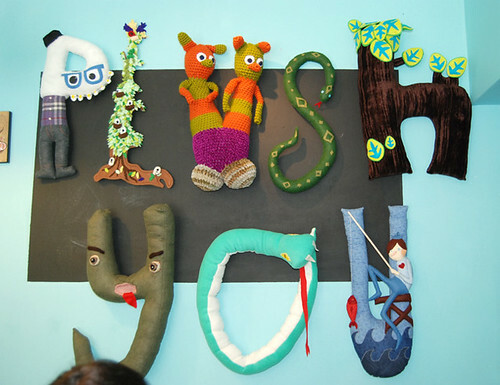 It really illustrated how absolutely amazing the crafty community can be. As well as it being nice to have record of what I've made, thought about and done over the years, the craft community is a big reason for why I blog. It's super to be a part of the community and to be able to share my love of soft toys, my work and my life with others of like mind. And it's just as super to get to share others' love of crafts, their work and their life through their blogs too. Another big reason I have for keeping a blog is simply habit. I've kept a diary since I was little and I started keeping a separate "work diary" (a sketchbook where I jot down ideas, design sketches, thoughts, bits of inspiration and notes) in school. I still carry a sketchbook with me everywhere! In the picture bellow you can see my work diaries from 1997 (when I started my costumier-sudies & my first work-diary) to my current sketchbook all piled up.